A two days national conference with title “Mathematical Analysis and Applications” was organized during 18-19 November 2017 at the Department of Mathematics & Astronomy, Lucknow University, Lucknow. Around 110 participants attended the conference Prof. M. Sitaramayya, Hyderabad University, was the Chief Guest for the inaugural function of the conference. Prof. R.K Singh, Jammu University, Prof. P.D Srivastava, IIT Kharagpur, Prof. S. Bhattacharya IIT Kharagpur, Prof. U.C. De, Kolkata, Prof. Mani Mehra, IIT Delhi, Prof. A. Ojha, IIIT Jabalpur, Prof. M. A. Sofi, Srinagar, Prof. Harish Chandra, BHU were present to grace the occasion. Two symposiums namely “A symposium of Wavelet Analysis” and “A symposium on Differential Geometry” were organized which were chaired by Prof. A. Ojha and A. Sofi respectively. Around 75 students presented their papers during the conference. Lastly a symposium of the Methods for development of Mathematics was organized during the valedictory session where very healthy discussion regarding the methodology of teaching Mathematics at school and college levels took place. The conference was partially supported by NBHM and UPCST. I, on behalf of the society, am thankful to them for the same. A two days conference with title “A NATIONAL CONFERENCE OF DIFFERENTIAL ANALYSIS” was organized during 19-20, November, 2016 at the Department of Mathematics & Astronomy, Lucknow University. Hon’ble Vice Chancellor Lucknow University supported the conference with some grant. Around 80 participants attended the conference. Prof. Om Ahuja, Kent State University U.S.A, Prof. V. Ravichandran, Head, Department of Mathematics, University of Delhi, Prof. Dharmadhikari, Pune, Prof. S.D. Sharma, Jammu University, Prof. Naveen Kumar Singh, B.H.U, Varanasi, Prof. N. Sitarammaya, University of Hyderabad, Prof. S.D. Sharma, Jammu University, Prof. U.C. De, Kolkata, Prof. Chanchal Kumar, Manali delivered their talks during the conference. 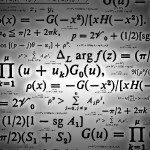 There was a symposium on Symposium On Creation & Communication Of Mathematical Knowledge. The invited talks during the conference have been accepted for publication in the vol. 67(1) of Ganita, a journal published by the Parisad. A two days annual conference was organized during 19-20 November, 2015 with title “A NATIONAL CONFERENCE ON RECENT TRENDS IN MATHEMATICS TOPOLOGICAL ALGEBRIC ANALYSIS AND APPLIATIONS”. Around 100 participants participated in the conference. The conference was supported by NBHM, DST, Lucknow University. Some very well known mathematicians like Prof. V. Kannan, University, University of Hyderabad, Prof. N. Sitarammaya, University of Hyderabad, Prof. S.C Arora, University of Delhi, Prof. Harish Chandra, BHU, Prof. Amin Sofi, University of Kashmir, Prof. Manjul Gupta, IIT Kanpur, Prof. B.N Waphore, University of Pune, Prof. Gopal Sati University of Delhi to name a few delivered their invited talk which helped the students to know the basics of the subject. These talks and few papers presented during the conference have been published proceedings in the vol. 65 of the journal Ganita. There were two symposium during the conference namely Symposium on topological algebraic analysis, Symposium on teaching and research in mathematical sciences.